Rio can't believe her luck. Her dream job became a reality when she was chosen to work with the unique crew on Freedom, a custom outfitted yacht. Starting in South Africa, the crews’ goal is to sail around the world. Before Rio boards the yacht, she is caught off-guard by a bizarre man, rattling a dirty leather bag with his gnarled and stained fingernails, staring at her with manic eyes…. The crew consists of five veterans of the war, each with their own personality and abilities. Ash has two blades instead of legs, and still has the strength and dexterity to match a man with legs. Marcus has to be careful around the sun because of his severe burns to his body that are starting to heal, stretching the scars tight across his face. Charis has a biotic arm, the first of its kind she can manipulate with her muscles. Izzy fell from a helicopter and shattered her leg while also coping with Type I diabetes. Rio and Jennifer are there as support for the team, and everyone is ready to take off. Then disaster strikes. They only wished it had been a monsoon, but it is something much deadlier. A group of pirates have seized the ship and ransacked it, taking them as hostages and sinking the yacht. No one knows where they are or what has happened to them. Now the crew is on their way to most savage part of Africa, where Joseph Kony and his army of children, known as the Lord’s Resistance Army, awaits their arrival. Surrounded by children with guns and blank faces and eyes, the group must be careful around these trigger-happy soldiers, who care nothing about killing a human. Although Ash and most of the others are veterans, they face something much more difficult – being able to survive with their handicaps. Mwemba, the leader, is asking for a huge ransom, but he is only part of the problem. Rio keeps her eye on a girl she calls the Empty Child, a girl whom the others shy away from, even the Sangomo (witch doctor) and Mwemba. Keep your friends close, but your enemies closer is the tactic of Rio and her mates live as they walk their way through desert and jungle hanging on to every shred of hope in order to survive. This is unlike any other YA novel I’ve read because the storyline is so very unique. 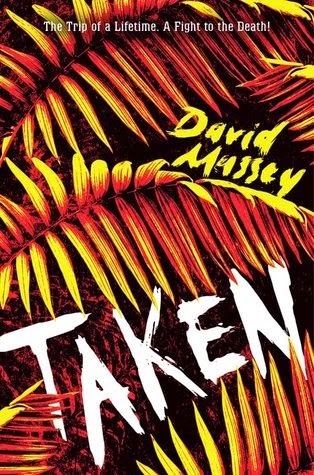 David Massey does an EXCELLENT job at taking a serious world issue that has come to the forefront of many nations and building a fictional account of it specifically for young adults. The characters become a cohesive part of the novel, showing both the hopeful and hopeless situation they are a part of, whether it's personal or not. Within the larger story are smaller ones that deal with the relationships between the crew, especially Rio’s relationships. Most interesting is that Massey incorporates the strength of individuals with handicaps, examples of true human endurance. This is one begging to be read and excellently delivered. Recommended upper JH/HS. 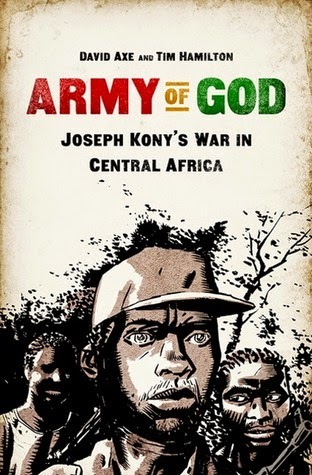 Non-fiction pair: graphic novel, Army of God by David Axe. Each year, I ask my student aides to take time to make something to give to a teacher they admire, look up to, or just enjoy. 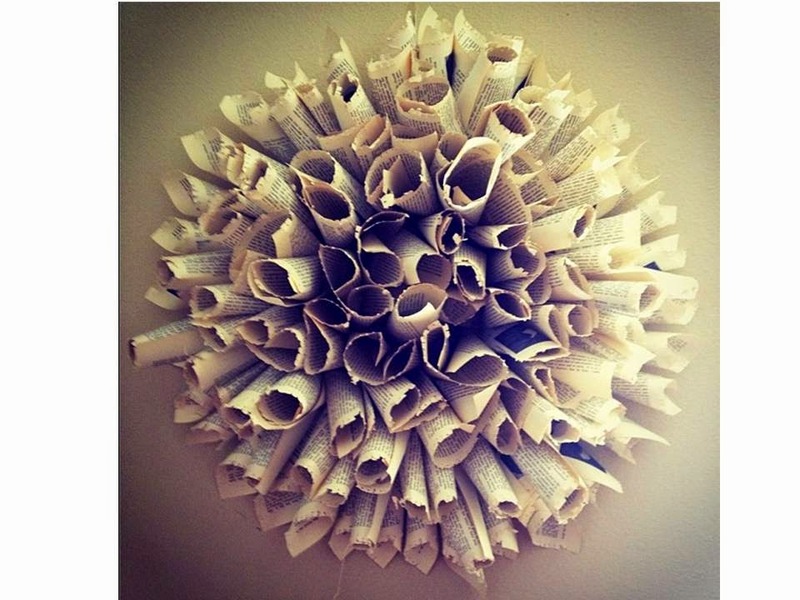 What we make are book wreaths. While those take some time (and there are SO MANY to do! ), there are others that don't take as long. 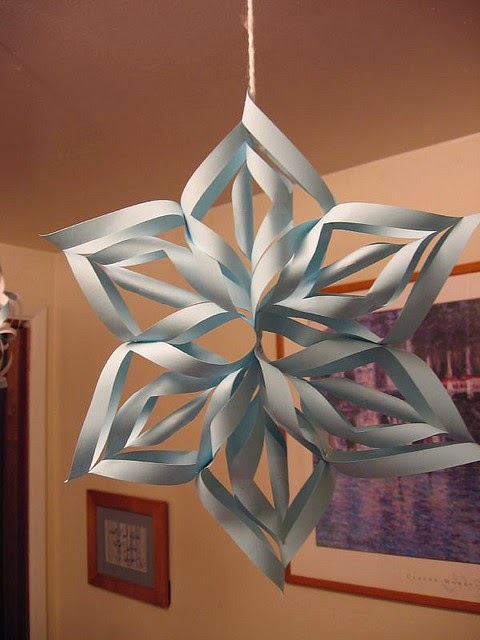 Here are five different projects you can make with students using old book pages to give to their favorite administrator, teacher, parent or friend....or even themselves! 2. Decoupage Ornaments: This next one is from http://www.kinassauerstyle.com/search?q=ornaments where you can take something as simple as a glass (I think plastic would work just as well) and decoupage pages over it, adding glitter or other types of shimmery effects. It began with the beautiful marriage between Beauregard Roux and Maman in the mid-late 1800s. He, with his big personality, and she with her small one. Beauregard's dream was someday to move to the American city of Manhatine and eventually this became reality. Between the dream and reality came four beautiful children to the couple. Emilienne was the first and she would fall in love exactly three times. Rene was next, and he was so beautiful people would stare when he passed by. Margeaux was the third and devoutly followed Emilienne's footsteps. Pierette was the baby and the tiniest fragile creature of the four siblings. Reality hit hard when the Roux family moved to Manhatine. Living in squalor and a filthy tenement, the children didn't understand why anyone would consider this paradise. When you live in a place like this, things get worse most of the time instead of better. Death took most of the family, and Emilienne knew she had to escape. She found her way out of the tenements and into the lush, green world of Seattle, where she started her own family in a periwinkle house on Pinnacle Lane. Life didn't come easy for Emilienne but she braved through the storms and eventually had a baby girl named Viviane. She was a bright and intelligent girl and was talented in many ways like her mother, but was especially gifted at being able to attune her sense of smell to not only people, but situations as well. Rain would smell different during the seasons. And the love of her life would always smell of soap and Turtle Wax. Their love produced a set of twins, Ava and Henry, both of them carrying on the uniqueness of the Roux side of the family. Leslye Walton writes such a beautiful story filled with allegories, metaphors and lyrical writing. It's in her writing that the characters fully form in all of their gloriousness as well as the juxtapositions she explores in the settings and personalities found in the book. Walton's book is meant to be read, but it should be read not only with the eyes, but the soul as well. Not only meant for teens, this is a novel that adults, especially those who enjoy depth, will love. 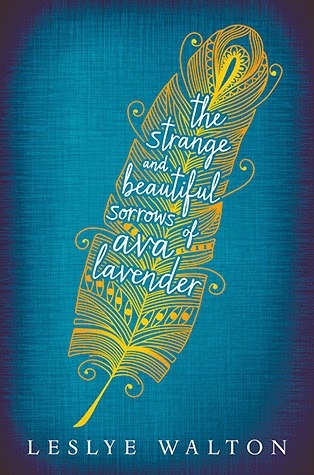 No wonder this is a finalist on YALSA's Morris List (new debut authors). I LOVED this book!! HIGHLY Recommended high school and up. Badges have been around forever. No matter what culture (or how grisly they are), badges are worn as a sign of importance with a focus not so much on the group, as on the individual. The military is probably the foremost recognized badge creator/users in the world. First of all, they're really impressive! Secondly, if you're part of that organization, you instantly know what each of those badges mean and what you accomplished in order to wear them. Today, badges have gone from physical to virtual. Examples of virtual badges are ones gamers have depending on their skills in a particular game. Then you have websites where you create something and are awarded badges based on amount of views, longevity, etc (think about what http://www.smore.com has done with badges. COOL!!) Check out people's blogs and what badges they proudly display on their sidelines. 3: they show how far a student has come from where they used to be. Think back to the days of stars on a posterboard showing classroom achievement. Those who did well could swell with pride because they're always at the top of the charts. But what about those poor souls who weren't able to do what needed to be done in order to get a star? One word: humiliation. And that's one powerful word! 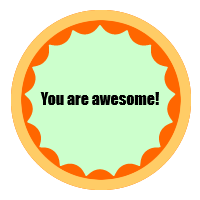 When virtual badges are used, they are individually awarded, not grouped. They can be shown on one person's site, not a chart. Best of all, YOU get to create them so every student is capable of badges based on their personal strengths. Need to register for this site. Add a badge from their design group, or search for a particular one you may need that isn’t shown. Create a class of students and award them indivdually and virtually.